Blending a unique variety of roots reggae, rock n’ roll, and electronic dub, Minneapolis-based trio Jon Wayne and The Pain brought their signature “Reggae-Tronic Dub” sound to the beautiful grounds of Three Sisters Park in Chillicothe, Illinois this past weekend for an unforgettable performance at the annual Summer Camp Music Festival. 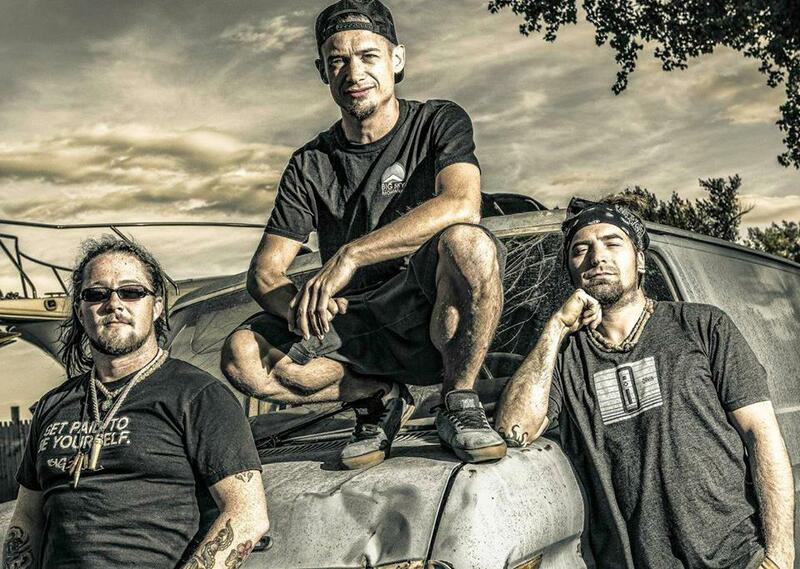 For those who may not be familiar, the reggae-dub infused group burst onto the festival scene in 2009, drawing in listeners with their melodic reggae vibes and grooving melodies. Over the last four years, Jon Wayne & The Pain have been touring relentlessly at an average of 20 shows a month, bringing you the freshest sounds of electro-reggae to festivals across the country including Wakarusa, Summer Camp, Electric Forest, and more. This year’s Summer Camp performance was no exception for the Twin Cities trio, with highlights including a number of extended jams, improvisation, and even a guest appearance by Jon Wayne himself during the Keller Williams set on the Moonshine Stage. On a gorgeous Sunday afternoon in Illinois, thousands of eager fans swarmed the Starshine Stage to watch Jon Wayne & The Pain open Sunday’s festivities with a 12:00 p.m. start on the Starshine Stage, a spot that’s proven to be tough position for some acts, but not for these veterans of the road. The reggae rockers opened the festival with “Prophet Over People,” and unreleased track that immediately dove into a roaring version of “One More Trip>Jam>One More Trip,” a classic segued-jam that really shows off the versatility of the group. If you haven’t heard Jon Wayne & The Pain get deep into a jam before, imagine the overlapping patterns and multi-dimensional aspects of STS9 fusing with the classic Long Beach dub sounds of Sublime. Throw in sprinkles of their own signature reggae blend, and you’ve got a unique sound that captivates an audience in an indescribable way. Their hypnotic beats provided by Teeto Miller, and infectious basslines created by their very own Chuckie Torgerson, create an insatiable dance groove that is virtually impossible not feel straight down to your very core. Jon Wayne & The Pain continued to win over new and old fans alike during their stellar Summer Camp 2014 performance, displaying the raw power of their “Reggae-Tronic Dub,” during “Jon Wayne’s Body,” a song that is centered on distinct heavy rhythms and a dubstep-driven bassline. The track seemed to kick the afternoon and the crowd into high gear, with thousands of fans grinning insatiably getting down to the high-energy dubtronica. There’s something special about the way Wayne’s voice collides with the rhythm of the track, it provides a perfect balance of structure and melody that keeps the feet moving and the vibes high. Next up came “Pulse Drop,” a fan favorite in which Jon Wayne incorporates the melodica, a wind instrument associated with Jamaican Dub and traditional reggae music. 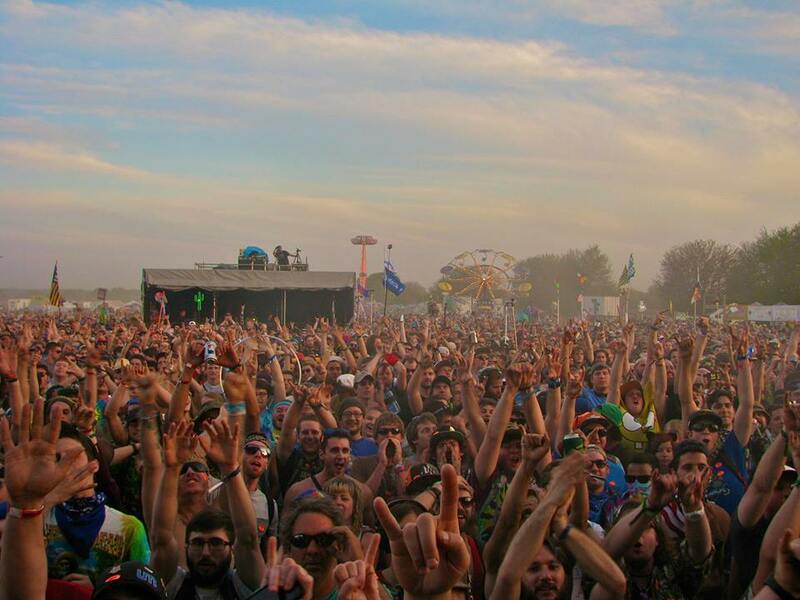 After a slow-building intro complete Wu-Tang Clan samples echoing the words “Tiger Style,” the track dropped the crowd into a bass-fueled frenzy that rivaled EDM superstars such as Bassnectar and Rusko. Layering the perfect amount of dub to balance the underlying reggae rock tones is something that Jon Wayne & The Pain has crafted and mastered beautifully over the years, and this track in particular is living proof. Peering out and waving to a cheering crowd of fans, Jon Wayne strummed the opening chords to their final tune of the afternoon “PC Dub>Ever Get Down,” a track that has been featured their live repertoire for a few years now, however the studio version was just recently released on their 2013 album “Surrender.” The hard rocking, almost Metallica-esc intro fizzled into a slower, mesmerizing pulse that set the mood for the finale of JWP’s set. At this point, the Starshine stage was packed full of festivalgoers gathering around to get down to the grooving beats that the Minneapolis trio was providing. The show culminated in a massive upbeat reggae dance party fueled by Wayne asking the crowd, “Do you ever get down?” The Summer Camp crowd erupted in unison as Wayne and Miller exchanged solos in what was the perfect end to a star-studded set by the upcoming reggae group. Greeting the fans with a warm smile, Jon Wayne & The Pain waved goodbye and exited the stage to the eager and amplified audience, who applauded the band vigorously for their energetic and captivating performance that afternoon. However, guitarist Jon Wayne wasn’t quite done with Summer Camp just yet. Over the past year, the reggae frontman has be-friended fellow musician Keller Williams, a smiling persona who has played with more bands than you can count on two hands, and fiddles with nearly every instrument in the book. The two have performed a number of different melodies together including the Grateful Dead’s “Wharf Rat,” amongst many other jams. For Keller’s 2014 Summer Camp performance however, Jon Wayne guest appeared to perform “Positive Reggae,” an uplifting reggae tune that mellowed the mood and made the crowd feel particularly irie. The chemistry between these two musicians was flawless, trading off solos for rhythm in a seemingly endless pattern that could have gone on for hours. 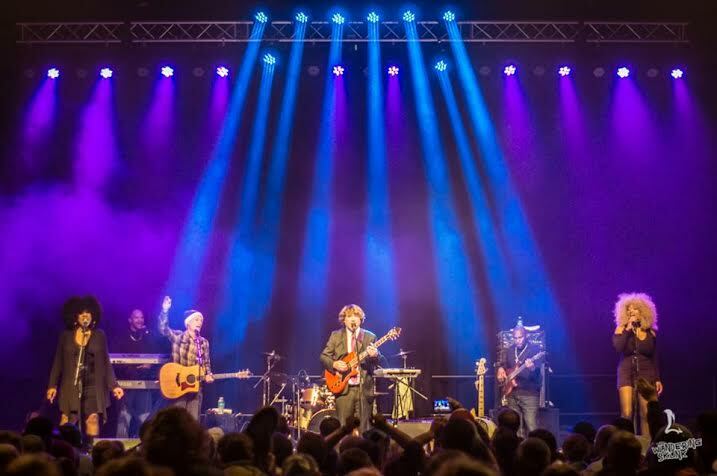 The soaring reggae tune was greeted with much applause by the massive Summer Camp audience, and set a distinct tone for the remainder of the Keller Williams show. 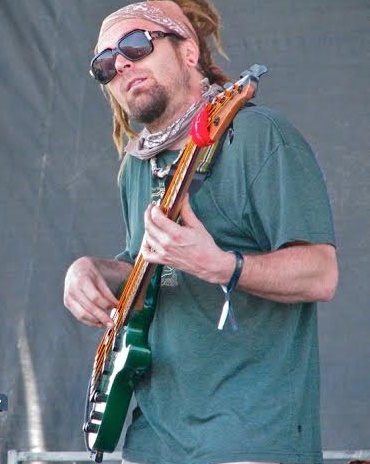 From the origins of reggae roots in Kingston, Jamaica to the modern days sounds of bands like Slightly Stoopid and SOJA, Jon Wayne & The Pain has undoubtedly crafted their own style of reggae-dub and turned it into a dance-fueled phenomena that has captured fans across the country, and it’s only just begun. With their third record “Surrender” out now and a busy 2014 touring schedule, including dates on the East Coast, West Coast, and Midwest, these road warriors are bringing their “Reggae-Tronic Dub” sounds to city near you, so call your festival friends and be sure to get on down to the mesmerizing sounds of the one and only Jon Wayne & The Pain.